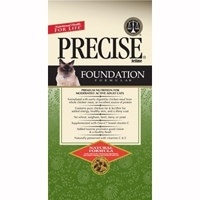 Precise Plus Feline Adult Can 24/5.5 oz. 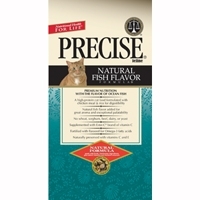 Precise Plus® is a natural and holistic line of pet foods that contains everything that is good for your pet—plus a whole lot more. Precise Feline Light 5/3 lb. 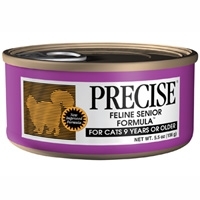 and 5/6 lb. 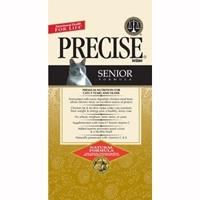 Precise Feline Senior 5/3 lb. and 5/6 lb. 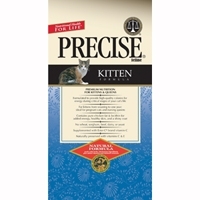 Precise Plus Kitten 5/6.6 lb. 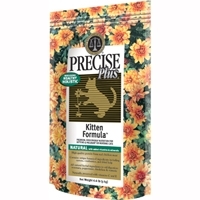 A high-protein diet is important for kittens to help in the growth of developing organ and muscle tissue. 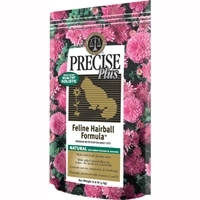 Precise Plus Feline Hairball 5/3.3 lb. 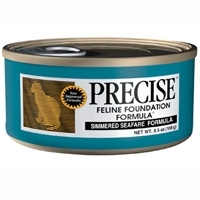 and 5/6.6 lb. 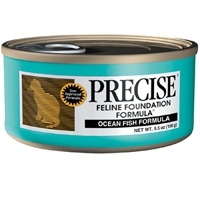 Finally, a solution to a problem shared by many cat owners. 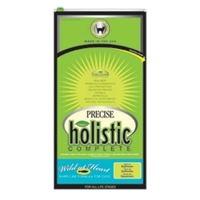 Precise Plus® Feline Hairball Formula is made with high quality ingredients, botanicals, and probiotics—plus added natural fiber. 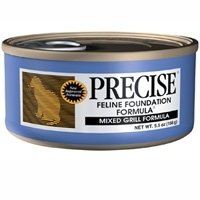 The result is a premium pet food that helps hair move through your cat’s digestive tract more gently, reducing the formation of hairballs. 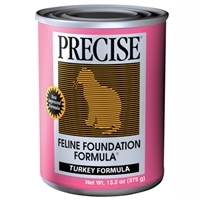 Precise Feline Foundation Turkey Can 12/13.2 oz. 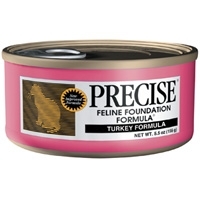 Precise Feline Foundation Turkey Can 24/5.5 oz. Precise Feline Foundation Chicken Can 12/13.2 oz. Precise Feline Mixed Grill Can 24/5.5 oz.